Approach to the green at Abama Golf, Tenerife, with views to the ocean and La Gomera. 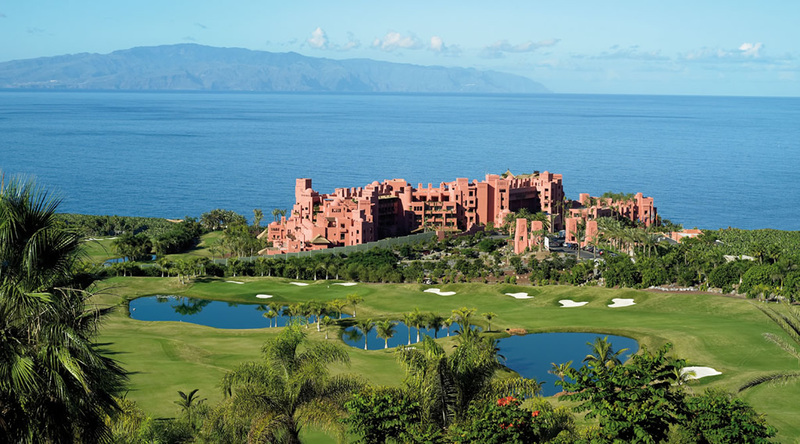 Abama Golf is part of a luxury complex in the south-west of the island Tenerife, Ritz Carlton Abama Hotel, Golf Resort & Spa. 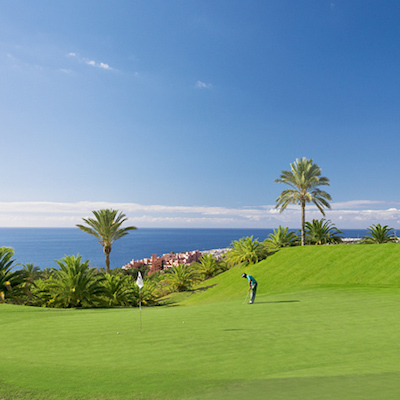 The course offers views of the Atlantic Ocean and the La Gomera island. It was designed by golf legend Dave Thomas (San Roque Golf Club, The Belfry, etc.) 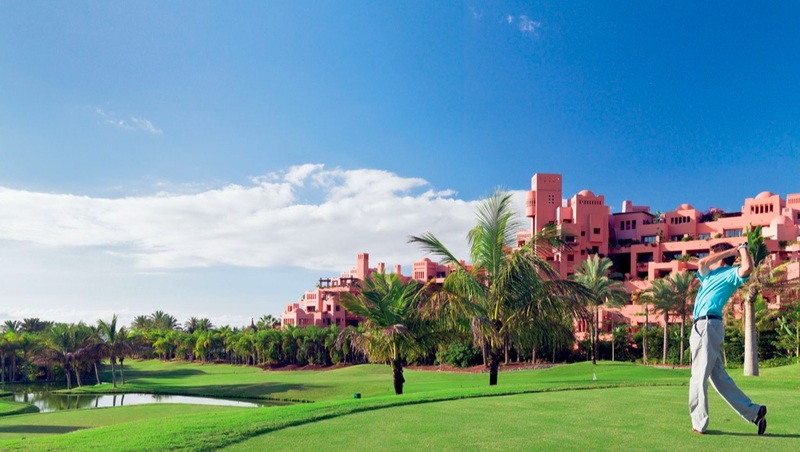 The golf course is winding, tactical, with 22 lakes, bunkers of marble sand and immense greens. The design of the course fits perfectly into the area’s topography and, consequently, there is a route of holes on uneven ground with the lowest point at 78 metres above sea-level and the highest, hole 5, at 315 metres. 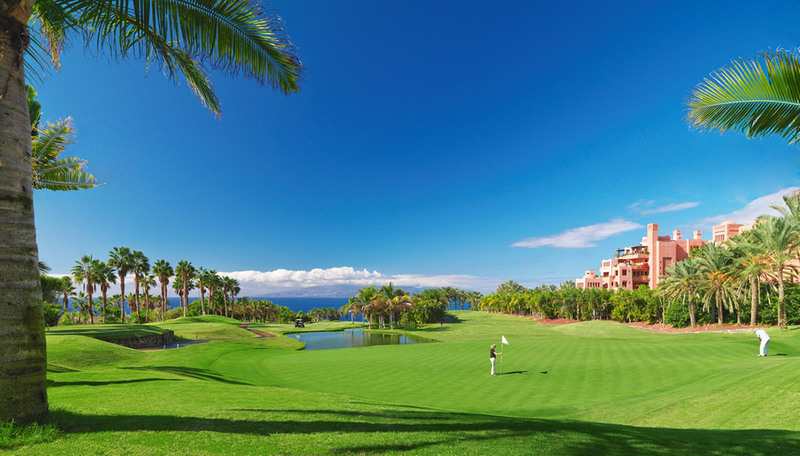 Abama is a golf course designed to be enjoyed by players of all levels. 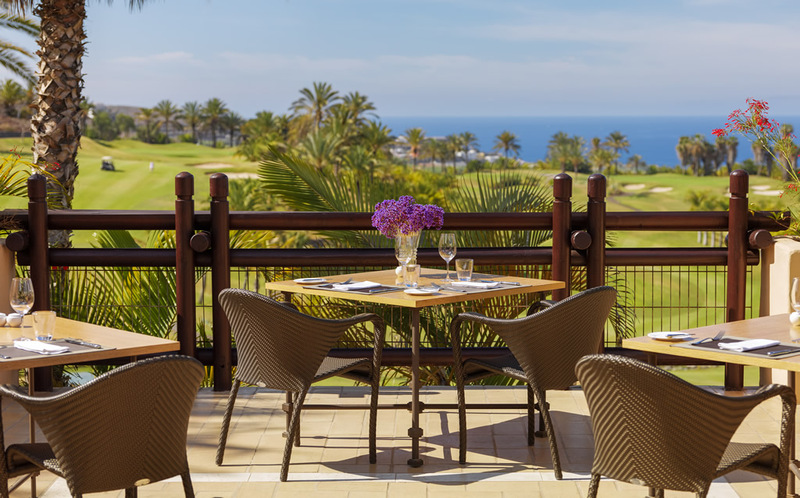 Facilities at Abama Golf: Club House, built in the same style as the Hotel and Villas, with a restaurant, bar, golf shop, dressing rooms and meeting rooms, three-hole practice course, driving range and 12-acre practice area, putting green and Golf Academy. GPS buggy included in green fee. Handicap Restrictions: Maximum 28 Men, 36 Ladies. Players are requested to bring their handicap certificate with them. Dress Code: Golf Polo, trousers, bermuda or skirt and socks. Swimshorts, slippers, t-shirts or jeans are not allowed. Golf shoes with soft spikes are required in all the courses. Opening Hours: Open from 7.30 am until 7.30 pm. Starting times from 8.00 am to 2.00 pm, every 10 minutes.